Linux High Availability Clustering is needed to ensure the availability of mission critical resources. Learn how to how to implement this fundamental Linux add-on into your business. Pro Linux High Availability Clustering teaches you how to implement this fundamental Linux add-on into your business. Linux High Availability Clustering is needed to ensure the availability of mission critical resources. The technique is applied more and more in corporate datacenters around the world. While lots of documentation about the subject is available on the internet, it isn’t always easy to build a real solution based on that scattered information, which is often oriented towards specific tasks only. 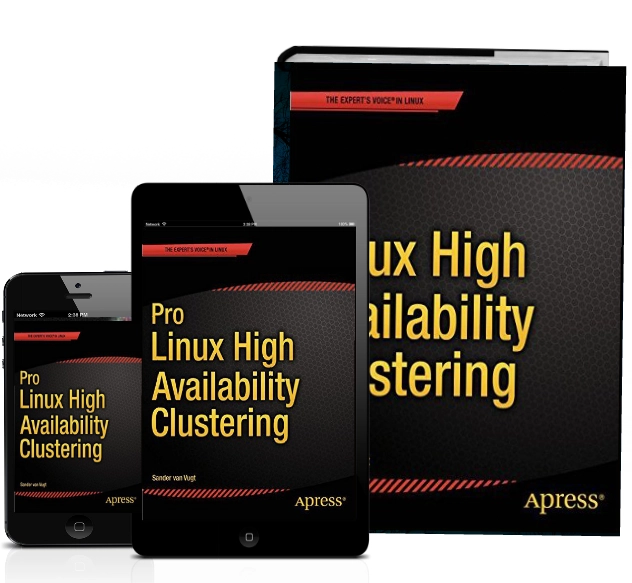 Pro Linux High Availability Clustering explains essential high-availability clustering components on all Linux platforms, giving you the insight to build solutions for any specific case needed. Setting up a KVM virtualization platform with high-availability protection for a virtual machine. With the knowledge you’ll gain from these real-world applications, you’ll be able to efficiently apply Linux HA to your work situation with confidence. This book is for technical skilled Linux system administrators who want to learn how they can enhance application availability by using Linux High Availability clusters.